I participated in “Designing a Feminist Alexa” a fellowship programme developed by Feminist Internet in partnership with UAL Creative Computing institute. 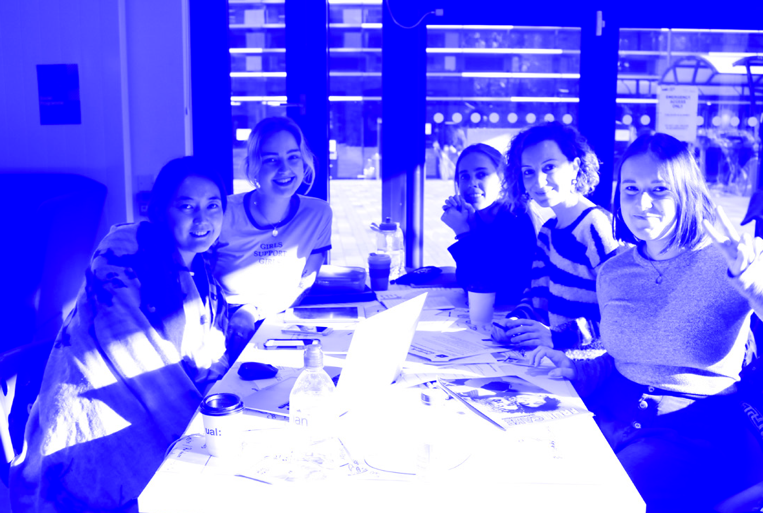 The fellowship consisted of a three-day design sprint with the aim of creating prototypes of Personal Intelligent Assistants (PIAs) like Siri, Alexa and Cortana that embody equality and promote inclusive understandings of gender. The video below shows an overview of the programme, its mission, approach and framework. My team consisted of five UAL students from multidisciplinary backgrounds. Throughout the three-day workshop, we used a mix of research and design tools and followed a set of standards for designing a PIA that embodies feminist values. The result was ‘B(o)(o)’, our prototype for a PIA designed to help teenagers, trying to cope with puberty, overcome all sorts of challenges they perceive as taboo or embarrassing.